Cleaver way to deck out the Model S' frunk! Ben & Jerry's ice cream is the bomb. 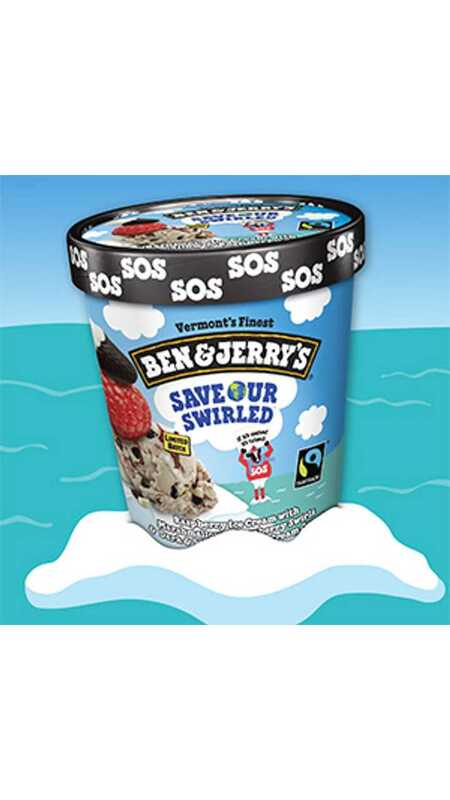 The ice cream maker recently released a new flavor called "Save Our Swirled", and it is collaborated with a campaign for global climate change awareness. What it will do is "call on world leaders to work toward 100 percent clean energy by 2050." Tesla Motors got in on this by modifying a Model S for this new ice cream flavor. 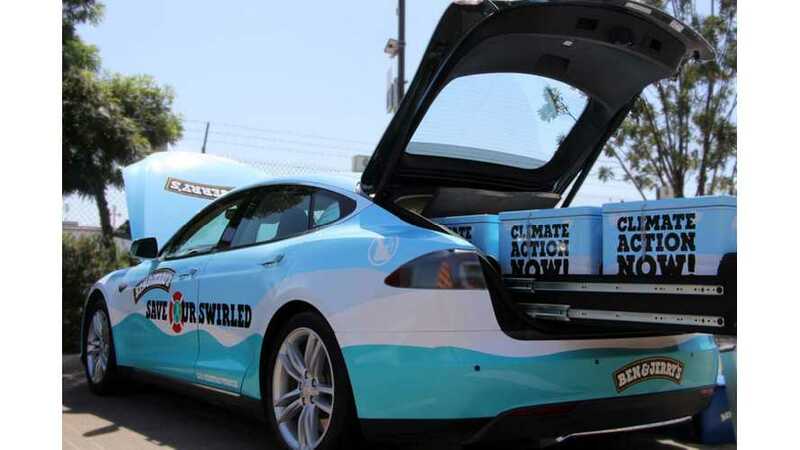 "The revamped Model S can fit more than 1,000 scoops worth of ice cream inside and features a “Climate Action” station in the front trunk where ice cream aficionados can sign a climate change petition with Ben & Jerry’s nonprofit partner, Avaaz." "The Vermont based company is known for its advocacy on social issues and even employs one Christopher Miller as its social mission activism manager. The new flavor features raspberry ice cream streaked with marshmallow and raspberry swirls and chunks of dark and white fudge ice cream cone." Ben & Jerry's "Save Our Swirled" Ice Cream! Here is the link to the petition. Sign it, before all of the ice cream melts! Read the full TESLARATI report here. 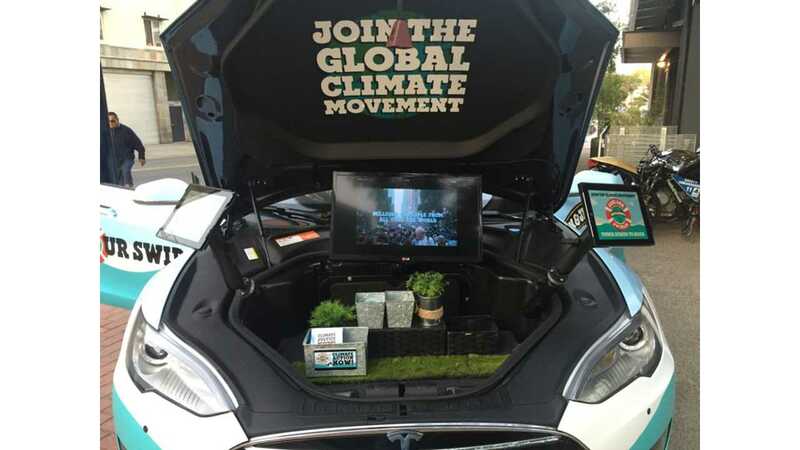 Way to go Ben & Jerry's & Tesla Motors!